Prishay will receive two Associate’s Degrees, one in Science and the second in Social Science, from Northern Virginia Community College (NOVA) in the Summer of 2019 just one year after graduating from high school because of her ten AP classes with near perfect scores. 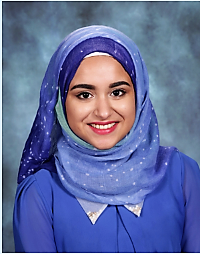 Prishay earned a 4.3 GPA in high school while participating in extra-curricular activities ranging from the Arts program to the National, Math, Science, History, and German Honor Societies. She is fluent in five languages – English, Urdu, Punjabi, Hindi and German. She proudly serves as a senator for Loudon Student Government 2018-2019. Her numerous recognitions and awards from prestigious educational institutions, such as the College of William & Mary and the University of Rochester, NY, laud her leadership skills, community contributions, and academic performance. Although the United States has been Prishay’s home for half of her young life, she is an undocumented immigrant. While Prishay has lived in Virginia for nine years, she must pay out-of-state tuition, which is more than three times the cost of in-state tuition, rendering the cost of education nearly unattainable for her. Because she is unable to meet the time requirements to qualify for DACA, she is ineligible for loans and financial aid typically available to DACA recipients and U.S. citizens otherwise unable to afford college. Due to her lack of funds, Prishay was unable to take a full course load in the fall semester. Still, Prishay is grateful to have financed her NOVA education to date through several small, private scholarships, and her job as a medical assistant at a psychiatric clinic. Her ability to finance and thus continue her formal education remains uncertain. Prishay’s long-term goal is to become a doctor in the United States, serving individuals unable to afford healthcare and offsetting by one the predicted severe shortage of physicians in this country.